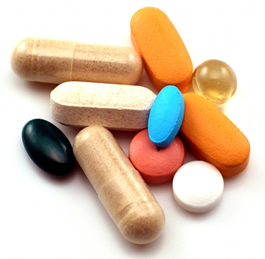 Keeping track of the latest evidence on which vitamin supplements to take can be confusing. Although new information is available regularly, mainstream media outlets don’t always report the full story, which can result in conflicting reports. There is new, clear evidence this month: The U.S. Preventative Services task force is recommending that healthy, postmenopausal women should not take Vitamin D and calcium supplements to prevent fractures. The task force – an independent panel of medical experts – reviewed more than one hundred medical studies before making their recommendation. It found insufficient evidence that taking vitamin D and calcium actually helps prevents fractures, and found a small risk of increased kidney stones for people who did take the supplements. The task force’s recommendation does not apply to people suffering from osteoporosis or vitamin D deficiencies, or those living in skilled nursing facilities. Cornell nutritionist Patsy Brannon has weighed in on the national debate over vitamin D supplements. Brannon was on the Institute of Medicine panel. While the panel recommended increasing the daily intake of vitamin D, it did not find that a deficiency is linked to chronic conditions such as cancer, diabetes and heart disease. “The evidence available is inconsistent, with some studies demonstrating this association while others show no association, and still others show evidence of adverse effects with high blood levels of vitamin D,” Brannon told the Cornell Chronicle. Although we can’t conclude whether low vitamin D is associated with chronic disease, the evidence is clear that these vitamin supplements do not prevent fractures. Is there any chance you could provide a follow up post with the benefits/side effects of vitamin d and its consumption or absorption is. I’ve read some posts on aliveberry.com about benefits etc and they were great to gain a general idea on what certain minerals/foods contain and do for our bodies.